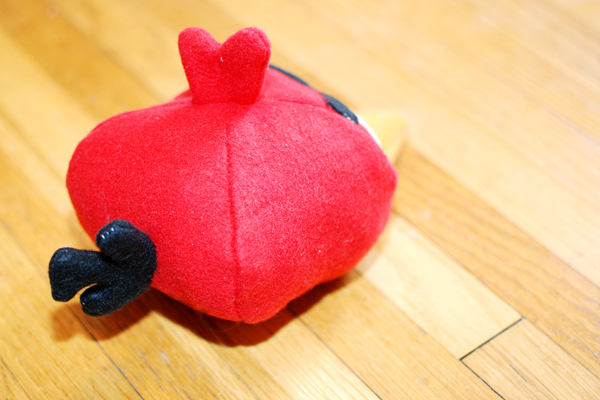 Have you ever played Angry Birds? It's an app and you can play it on iPads and iPhones etc. My oldest brother has an iPad, and we played Angry Birds on it together during Christmas. His wife thought it was a super funny game (because it is. 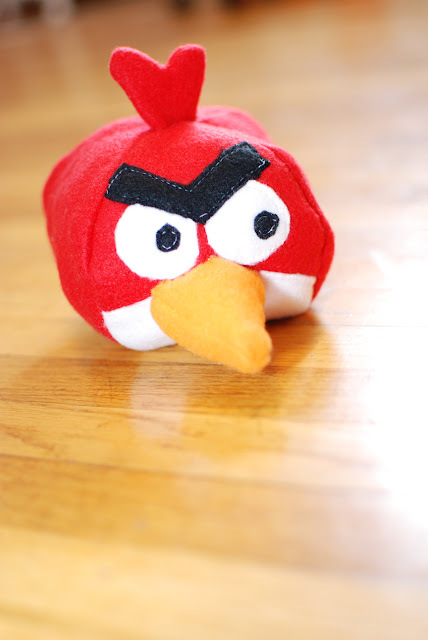 :), and so when I saw this tutorial, I knew I had to make my sis-in-law an Angry Bird plushie!! He's just so angry! I love it. Hehe! 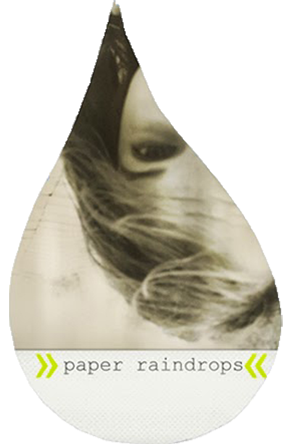 I'm iGirl, I just started following your blog and I think it's really cool! P.S I love your header! It's because angry people can punch you. Want me to demonstrate? So what's HIS name? Do give him something deliciously fright'ning. I LOVE angry birds! This is so cool! 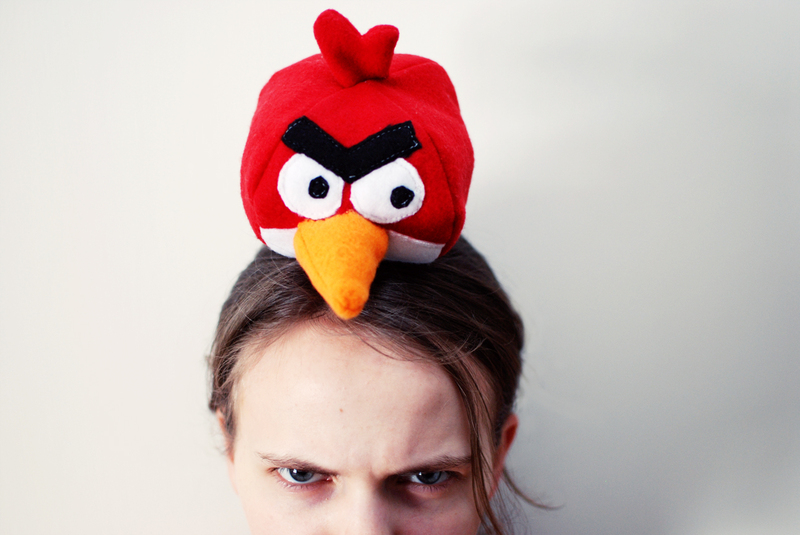 I think angry birds are cool because you never actually see them frown! Hehehe...I am still laughing! He is truely fabulous!